This is our fifth year to participate in Remember Me Thursday where we shine a light on the millions of dogs and cats waiting in shelters for forever homes. I pray that one day there will not be a need for this annual event but until then, we will continue to remember those waiting to give and receive unconditional love. There will be millions of unwanted pets dropped off at shelters and rescues this year. Many will find their forever families and live happily ever after. Sadly, others will live out their lives in those facilities. It is hard to think about them but there are others who have the misfortune of being brought to a high kill shelter. They don’t have a chance at life. We must shine a light on them so they do not die in vain. Over the past five years, I have approached this day in a variety of ways. It is very easy to slip into the heartbreaking plight of the dogs and cats that are available for adoption. Instead, let’s look at some tips for a successful adoption. • Don’t rush into a decision. Pet adoptions are held at many locations including pet stores. It is very easy to act on impulse because the dog or cat is right in front of you and looking adorable. Resist the temptation unless you are specifically going there with plans to adopt. • Spend some alone time with the pet. It is important that you spend time with your potential pet away from the crowds. If you are adopting an older animal, this becomes even more crucial. Ask to take the dog for a walk so you can spend some one-on-one time. Take your potential new cat to a quiet spot and get to know each other. • Plan a meet and greet with your other pets. If your new adopted pet will be joining existing pets in your home, plan a meet and greet in advance. Much like bringing home a new sister or brother, not every pet is on board with a new family member. It is best to see how they will react to one another before you bring the new “baby” home. • Make sure you are ready for the commitment. 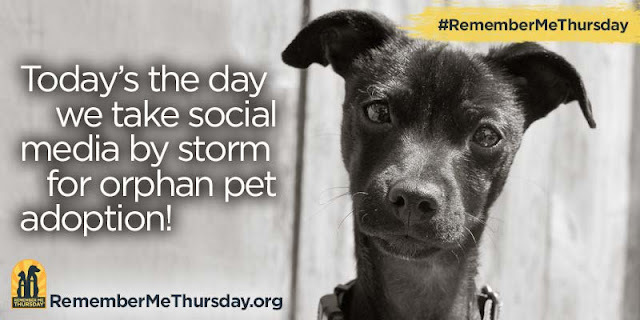 It is surprising the number of pets that are returned to shelters each day. I cannot imagine how devastating this is for the animal. Please don’t adopt a puppy only to return it when it gets big. Know that your pet will get sick at some point. If you can’t afford to take them to the vet, don’t adopt one. Dogs and cats get old and require special care just as a human does. Please don’t abandon your pet because it is old and needs help to do the things it used to do on its own. Pets are a commitment for their lifetime which can average from 12 to 20 years. They depend on you. • Adopting a pet costs money. Do not expect to adopt a pet for free. Unless there are certain events where fees are waived, adopting pets cost money. The shelters are not “getting rich” from these fees. Your pet has been given shots, possibly spayed/neutered and cared for by volunteers. It is rare that the adoption fee comes close to the money that has been spent on your new pet. • Find out as much history as possible. Many pets are surrendered by people that can no longer take care of them. Others are surrendered for different reasons. Whatever the case, you should try to find out the reason it was turned over to the shelter. You’ll want to know if it was constantly digging out and running away. It is important to know if it doesn’t like children, other animals or isn’t housebroken. Many animals are found as strays or rescued from a high kill shelter and there might not be any history available. Either way, it is important to ask questions. This might be the last but most important tip. Depending on the age and history of your new best friend, they have probably had a tough time in life. Give them a chance to adjust and don’t expect perfect behavior from them. It won’t take long before you are asking yourself if you rescued your pet or the other way around. 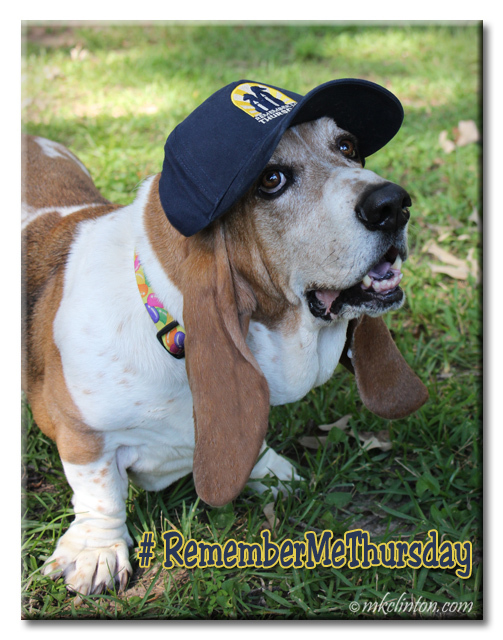 #RememberMeThursday on your social media. This link has social media shares already made for you to use. Hreatnpost - we also are praying. We must not give up! We hope a lot of pets are adopted, but also by people who know what it means to add a furry member to the family. It is more than just love, there is a lot of responsibility, and expense as well. Good idea for the post. We pray that every single pet can have a loving home with peeps who adore them. We continue to shed a light on the topic of pet shelter rescues, something near and dear to my own heart. I love that you included these great tips for pet adoption. It's so important to be ready for a new pet. "rescuing" a pet into a home that isn't prepared to care for them properly for life can end in disaster. Love your post! 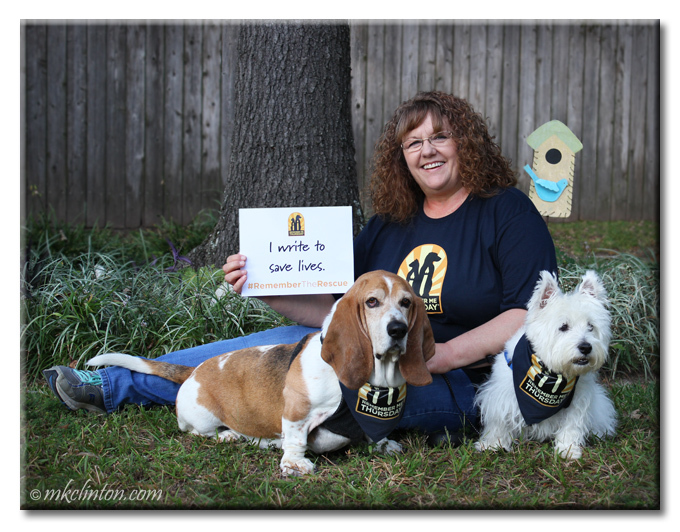 Rescues and adoptions rock, totally rock! All of my dogs have been rescues and they are/were great companions. Some were older and with me for a short but wonderful time!!! Today is such an important day. I breaks my heart to think of so many beautiful cats and dogs that never have the chance at a loving home. These are such great tips! Sometimes it is not easy adopting a pet. Our cat Conrad spent his first two weeks at our house hiding under the bed! But with time and patience he became a happy member of our household, amongst many other cats and dogs too! Excellent post. I wish they could all have homes. Hi! This was a very good post. I think your tips are very wise. I think more people need to abide by your first tip. The plight of homeless animals is just so sad. OMD, this is such a FABulous postie! These are all such good tips when peeps are thinkin' of adopting a furry! Ma didn't rescue me, butts she did check Airedale rescues furst (there are surprising few Airedales in rescues, since Ma says we are a 'handful'! ☺). Anyhu, thanks bunches for the postie, and I hopes it helps peeps make up their minds before bringing a furry home. You make such great points about adoption! There are so many pets who need help, and we are grateful that you do so much for them, dear friends. 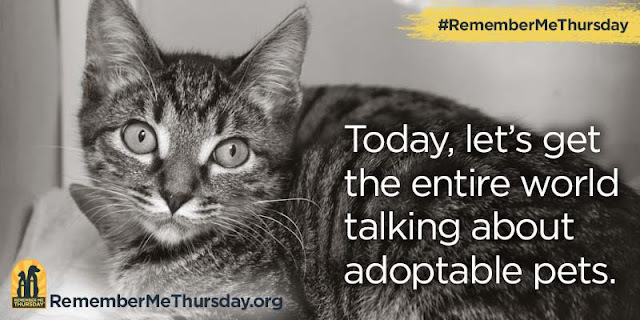 We're putting our paws together and praying that there will be many, many new adoptions because of Remember Me Thursday! Thanks for sharing this important day. Fantastic that you have included these thoughtful tips for pet adoption. I think your last tip is so important, as patience is key. It takes time for a newly adopted cat or dog to come out of their shell and shine. But once they do it's incredibly rewarding. Great tips for this day! These are great tips for pet adoption! 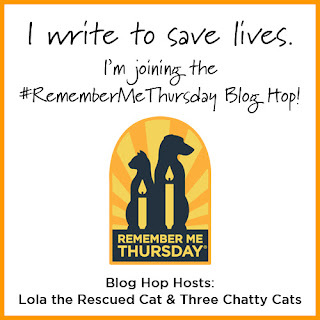 That is awesome that you've written about Remember Me Thursday for five years now! I hope you continue to do so for many more to come. And thanks for hopping along with us.